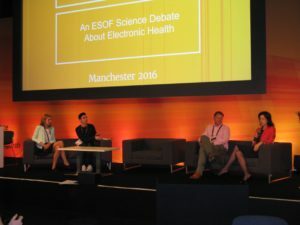 These three words characterize the outcome of the ESOF Science Debate about edoctors and whether we can trust them. In our perception of benefits and disadvantages, we first of all need a better comprehension and knowledge about electronic health. This should be provided by profound training and overall education. Only with these means, Europe’s citizenry is apt to make better decisions and choices on how to proceed in this innovative field of health care. More precise and faster diagnoses as a result of improved data analysis and better access to data, efficient monitoring of the patients with smart phones, improving the condition of mental health patients by means of helpful biofeedback; but also, on the dark side, risks about the deterioration of personal contact and confidence between doctors and patients, confusion and misinformation along with data insecurity and loss of solidarity. 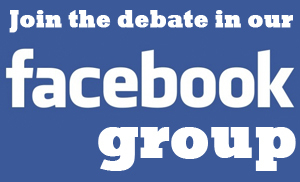 Groups around roundtables were formed to discuss the concerns. One of the main recommendations was that all stakeholders should be better informed and trained. This empowers them to take advantage of the opportunities, which technology is providing nowadays. 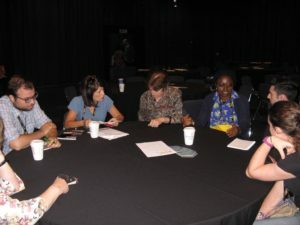 This could lead, as a follow-up to joint activities, in which the research community (Information and Communications Technology ICT, Health) and the public can engage. Also the groups discussed the trust and ethics issues stemming from the use of applications and systems. There were worries about the use of the personal details and heath data from organisations around health institutions (hospitals) and that other affiliated bodies (e.g. insurance companies) could take advantage of them. A balanced use of these applications as well as platforms are needed. They could help local communities – especially rural and isolated regions – to provide the required health care and blend with traditional ways. Apart from the right balance, people must have a choice, if they want to use this technology or not. Last but not least, they must understand the positive and negative aspects of this choice and consider them in their decision. Again, this can only be realized by more information and training. 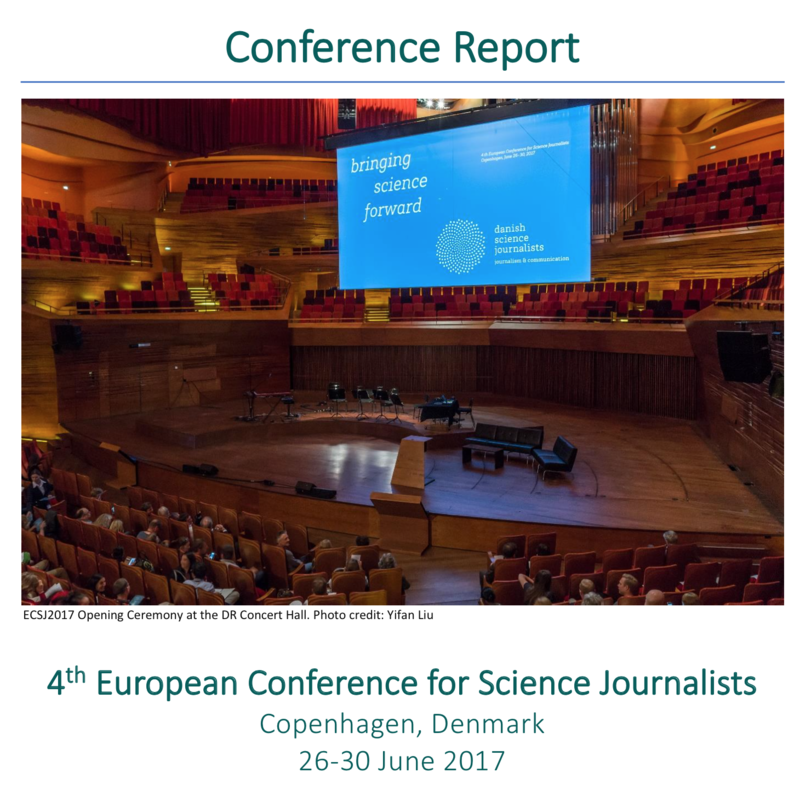 The session was organized and moderated by the European Union of Science Journalists’ Associations EUSJA and the German Science Writers TELI. 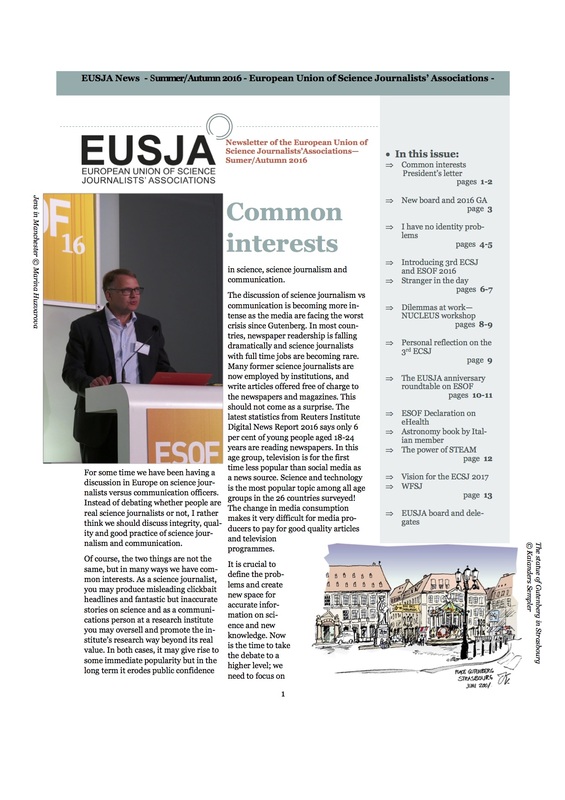 The results are being submitted to the European Commission EC for consideration and implementation. 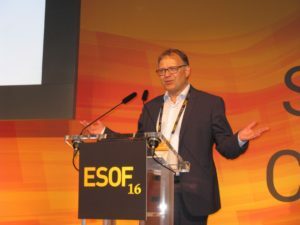 Two years ago at ESOF 2014 Copenhagen, EUSJA and TELI had a similar debate on chances and risks of nano technology, with the favorable response of the EC.